Parhelion Corporate Finance is an independent corporate finance advisory firm in Rotterdam, focused on providing financial advice to medium to large-sized corporates and financial investors. We advise our clients on a wide range of matters, from M&A, Valuation & Business Modelling, Debt Structuring and Capital Raising. We believe that the best results are achieved by taking a different approach; deeper analysis and full commitment to our clients. In addition, we understand every client needs their own unique approach, as the highest potential is reached by non-standard solutions. Parhelion was founded in 2016, since then we are proud to have advised clients on transactions with a total deal value in excess of €750 million. 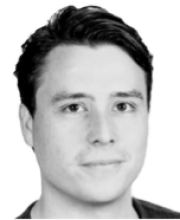 Before founding Parhelion Corporate Finance, George worked for three years in Investment Management for the Port of Rotterdam Authority, where he advised the Executive Board on investments in the port and industrial area in the Netherlands and Latin America. 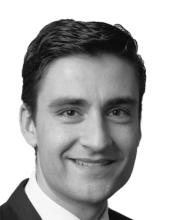 George started his career at UBS Investment Bank in Amsterdam and London. Later he held management positions in the corporate finance departments of EY and Deloitte in the Netherlands and Belgium. Mentor at PortXL, the first startup accelerator for port and maritime related companies. George has an MSc. in Business Administration from Erasmus University Rotterdam, where he majored in Corporate Finance. co-founder of an online media company. Rotterdam University of Applied Sciences. An understanding of our clients’ need for independent advice without any conflicts of interest while also assuring total discretion. Advising our clients is our only business, we do not trade, lend or underwrite. We do not sell products, creating no conflict of interest. We advise clients across a wide range of matters. M&A advisory, valuation & business modelling services, fairness opinions and independent board advice, to debt structuring and capital raising. Through our experience and background we have gained in-depth knowledge into several sectors being: maritime, infrastructure, transport & logistics, (renewable) energy, oil & gas and private equity. A wide service offering and international network to help our clients reach their objectives Access to an expert network of industry specialists, tax advisors, M&A lawyers. As an independent advisor, Parhelion Corporate Finance helps clients evaluate some of their most strategic and complex decisions. We excel in guiding complex transactions that require a tailor-made approach. We engage directly with management, shareholders and independent board members in a wide range of situations, from mergers and acquisitions, divestures, management buy-ins and buy-outs, spin-offs and carve-outs. In some cases, our involvement is required when a conflict of interest arises in relation to a possible transaction. Often our role involves not only assisting with a transaction process, but also delivering a fairness opinion. We believe one of our major strengths is the excellence and commitment of our team. We offer an exciting career opportunity to individuals who are interested in working in a dynamic and entrepreneurial environment. As our firm continues to grow, we are continually seeking to expand our in-house team. Parhelion Corporate Finance is interested in candidates with strong academic backgrounds and analytical abilities, but who also exhibit strong communication skills and enjoy working in an entrepreneurial environment. Interaction with a wide variety of clients across different stages in their lifecycle. Our client base expands from large corporates to fast growing scale-ups. Our diverse client base allows our professionals to develop new skills and gain insights into new markets. Contrary to other larger firms, our junior team members benefit greatly from a direct exposure to clients early in their career. This significantly accelerates the learning curve of our junior professionals. As a boutique firm with a small dedicated team, each individual has an immediate impact on the performance of our firm. We are continuously examining ways on how to improve our service offering in order to serve our clients better. Our culture challenges all team members not only to develop new ideas, but also implement them quickly. We are continuously looking for candidates interested in an internship (three months to six months) or experienced finance professionals with one to two years of experience. Contact us for further information. To apply please send us your motivation and resume. Copyright © 2019 Parhelion corporate finance. Theme: Himalayas by ThemeGrill. Powered by WordPress.